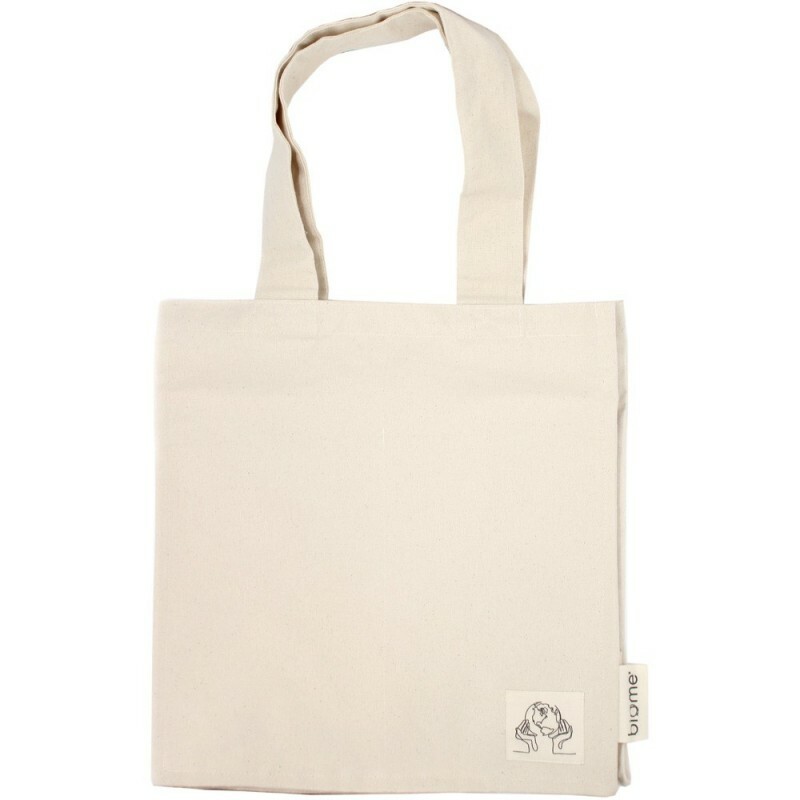 Large 100% organic cotton compartmentalised shopper bag from Biome. 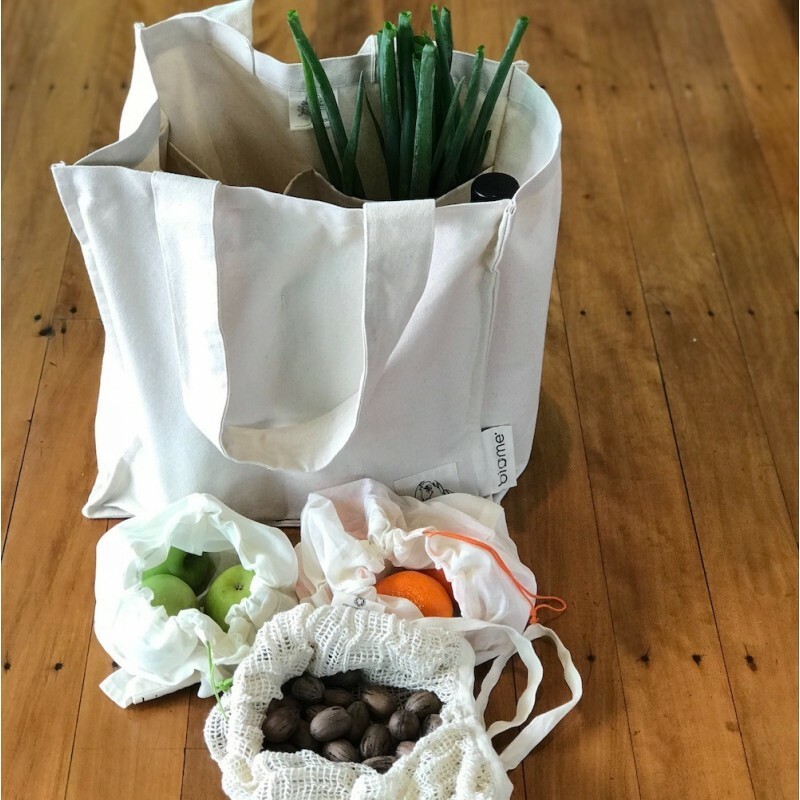 Folds out wide, with six stitched pockets on the inner side for protecting long and delicate items like fresh herbs and celery bunches, as well as holding bottles upright and separate. Thick and sturdy canvas material. Six stitched pockets on the inner side to keep items protected or to store longer items like bottles. Small world globe or tree design in the bottom corner. L37 x W 23 (base) x H 39 cm (handles 28cm). 100% GOTS certified organic cotton. I bought two last year - one for me and one for a friend - and when I saw them on sale this year, I had to grab another. I have never owned such a practical shopping bag before. 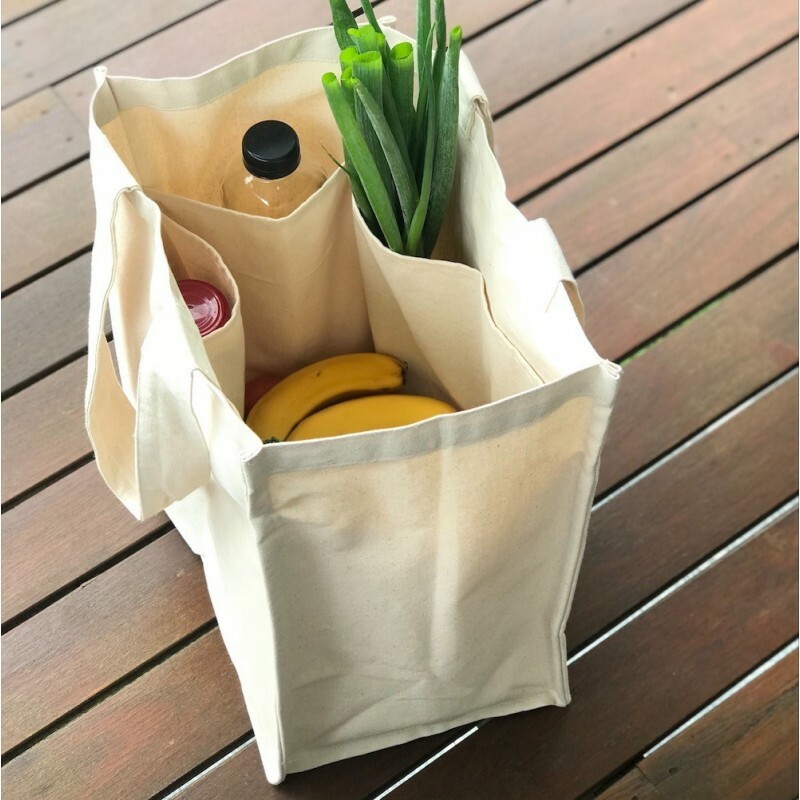 The built in pockets are the best feature but the wide straps reduce the chance of your shoulder feeling cut into when carrying heavy produce and the flat base means it's easy to stand up. Huge fan and can highly recommend! Tried these with my weekly shop last week and couldn’t get over firstly just how much you can fit in them. (They are taller than a standard Reuseable shopping bag) but also the strength. I loaded 9 litres of milk, 1kg of yoghurt, 1kg of butter and some deli meats all in one bag. No issues. Will definitely be buying more for gifts if nothing else.